Shinobi Life Online Discussion / Hidden Hill Kage. So, since I'm not running for Hidden Hill Kage, who is? General Discussion / Im Back! For those that don't know I had water spilled into my PC recently and it just destroyed everything. Shinobi Life Online Discussion / What Shinobi Rank Are You? So, I was playing the game earlier and training someone who's new and promoting him up the shinobi ranking system based on how he improved. We started from Academy Student. We ended our training session with him getting to Chunin skill level based on my evaluation of skill level. So my question for everyone here is what Shinobi rank would you rate yourself based on current ability in game? Post what you rate yourself. If you see someone who overestimated or underestimated themselves with their vote/post feel free to call them out on it! But please be RESPECTFUL. Where are all of my fellow Hidden Hill shinobi? Dai Tsukegami, The founder of the Tsukegami clan, was a shinobi renowned for his combat prowess. Displaying great strength and stamina in his fights while also holding an arsenal of jutsu in different natures made him a terrifying opponent. His opponents recognizing him by the absence of color in his hair, being the color white, earning him the surname "Tsukegami" meaning, "false hair". Dai had two sons: "Ko" and "Yo" with his wife, Airi Tsukegami. Both inheriting Dai's great strength and stamina proved to be just as formidable on the battlefield as their father. During this time period the shinobi world was chaotic and unstable with many countries at war, neighboring clans fighting each other for territory and resources. Dai eventually losing his life during this war passed down the Tsukegami leadership to his sons, Ko and Yo. After the war had subsided Ko and Yo assisted in the upcoming of what would become an organized community of shinobi: Okagakure, The Village Hidden in Hills. The older brother Ko becoming the leader of the village known as the "Kage" and guiding Okagakure into fruition. Generations later the Tsukegami clan grew into a dominant clan of Okagakure. The clan currently being led by Ko's great grandson, Nao Tsukegami. Nao has no aspiration of being the villages kage as his great grandfather was. The Kage election is underway as Okagakure attempts to elect a suitable kage. Nao being a potential candidate has not expressed interest, instead he hopes the position is filled by a shinobi that will continue to lead the village into prosperity. Each family member of the Tsukegami clan carries the trait of having white hair. The Jyuunishin have no official leader. Each member is independent. They are only bound to following the Jyuunishin's Purpose and guidelines. The members may vote for a leader out of their own choice as a group. The Jyuunishin consists of 12 elite ninja from different villages. 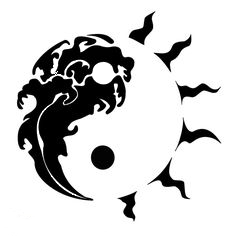 Each one embodying a zodiac animal, displaying the appearance and/or the personality of their zodiac. 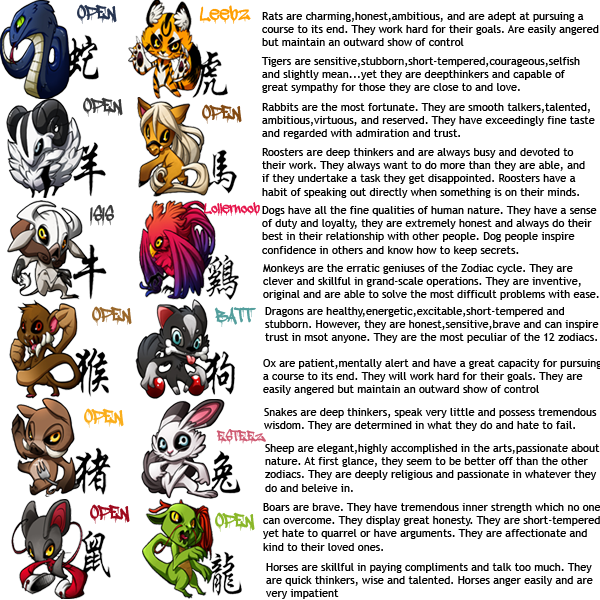 Jyuunishi have their zodiac animal's kanji tattooed on a part of their body. The Jyuunishin are known to often travel in pairs while on missions following the organizations purpose. The Jyuunishin annihilate any major threats in the SLO world. Legendary beasts, Organizations, Rouge ninja, etc. Jyuunishi may never fight another Jyuunishi to death or with their full power (it would be the equivalent of 2 kage fighting). They may train or spar together. Be active. Jyuunishin will be a major org in SLO. As such we expect each Jyuunishi to take his/her zodiac seriously and be an active member in game. So you sins might enjoy this...One of your sins got marked off my hitlist today. So I've been re-watching old naruto episodes to acquire good qualitative information for Shinobi Life Online and one thing that stood out to me is, in Naruto, there are a lot of situations when you're running away from strong ninja in a squad vs squad situation, the squadron fleeing may have to decide that one ninja from your group must stop and try to hold off the pursuing squadron for the rest of your team to survive. So my question is, Are any of you willing to sacrifice your life for your team's survival? Since perma-death is real in this game, just like it would be in a Naruto universe. Hey everyone I picked up 3ds max again and decided to make a kunai from memory, it isn't anything special, but i thought id share. I was just looking through the Shinobi Life Online character section of the forum like usual and I was just wondering, what are all you Uchiha wannabees gonna do when you find out Shinobi Life Online doesn't have the sharingan? Lol. So I was just wondering if we'll be able to make our characters look like Naruto characters without any copyright issues. Mostly just clothes i'm worried about. Can Vreg answer this for me? Description of the character's personality: Giving, in the sense of self sufficiency. Strong desire for responsibility, but not too much. Calm, bashful nature in everyday life, Unmerciful once combat is involved.